Disclaimer: I received AfterShokz Trekz Titanium wireless headphones to review as part of being a BibRave Pro earlier this year. Learn more about becoming a BibRave Pro (ambassador), and check out BibRave.com to review find and write race reviews! Holiday merriment is in full swing here in our house! Our trees are up, the banister is decorated, our menorah is ready for this evening’s first night of Hanukkah, and my kids excitement and noise level are at a constant eleven. Between running from music recitals to art shows to karate testing to Scout meetings and parties and whatever else I’m forgetting to list right now, there’s the age ol’ task of wrapping presents. This task usually falls on me, because, well I think I said once that I liked it (what a mistake that was). My older son has been really great about pitching in and wrapping gifts for me and things that he’s bought, but the majority of the gift wrapping falls on me. Last year I even hurt myself wrapping presents. I am a talented one, I know! This year, I’m just trying to figure out how to get everything accomplished and remain sane. Rather than wrapping everything all at once, like I’ve done in the past, I’m attempting to wrap prezzies as they come through the door. My main wrapping area station is the floor in my bedroom, where I have enough space to spread out the wrapping paper and my box of scissors, tape, labels, etc. that I can quickly squirrel away if anyone happens upon me mid-wrap. Thankfully, I have my AfterShokz Trekz Titanium wireless headphones and they’ve made all the difference this year. Not just for running training runs and races, my friends! I’ve been putting these to work and they’ve yet to let me down. My mail lady (who brings many, many packages from Amazon) usually arrives at 1:30pm and my kids begin arriving an hour later. Donning my AfterShokz headphones I’m able to listen to holiday tunes/laugh along with my favorite podcasts and wrap to my hearts content. If I lose track of time, I’m able to hear my kiddo’s triumphant return from school even when I’m jamming out, thanks to the open ear design. It’s a wrap (for now)! Here’s to making life easier and embracing the little things along the way that help make that happen! Life can be fricking hard, yo. I don’t have it figured out, but I do know what helps me when things get tough. Today, I’m sharing some thoughts about dealing with life’s struggles. I hope they help you, too, and always be kind to yourself. Recently we were discussing things that make us happy. Of course there are the classics, the tried and true favorites that we return to continually. And then there are the newer things that we’ve recently stumbled upon that we can’t stop thinking about and make us forget about the craziness of the world for a short while. We wanted to share our lists with you and would love to hear what you’re loving right now, too! I’m big on escapism when I have time for it. My husband and I like to watch old sitcoms on Netflix and Hulu. Comfort TV, we call it. I Love Lucy, Wings, and Married With Children all get airtime, and when my husband isn’t home I binge watch the BBC 1995 Pride & Prejudice miniseries. I’m a fan of video games but since my TV and PS3 are in storage, I had to take a break from Skyrim. Now I’m playing Texas Hold’em poker and Forge of Empires on my phone. I haven’t had much time for reading lately, but audiobooks have been my jam when I’m driving or in the background at work. 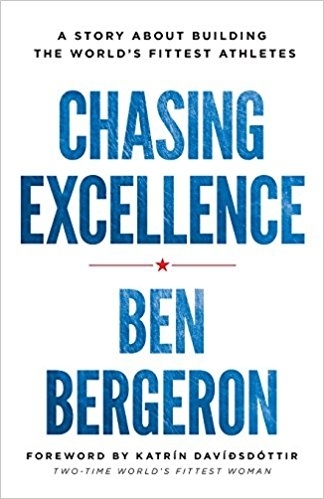 Although, Hillbilly Elegy and How the Right Went Wrong aren’t exactly stress-free listening, both were worth my time and aggravation; I recommend them. Girls Gone WOD: Joy and Claire make you feel like you’re one of their best friends. I started listening to this podcast last year, though at the time I wasn’t doing Crossfit. It didn’t matter though, because their subject matter and conversation goes so far beyond the sport of fitness. They talk about fun things, like Mean Girls, and hard things, like body image, and are always working to educate themselves and their listeners along the way. I cannot recommend them highly enough. 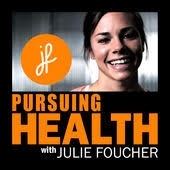 Pursuing Health with Julie Foucher: This is another Crossfit-related podcast that goes beyond Crossfit. Julie Foucher is a multi-year Crossfit Games athlete, and two-time podium finisher. She is also a recent medical school graduate and a doctor at the Cleveland Clinic. This podcast captures Julie’s passion in taking what she’s learned from Crossfit and in the field of medicine, and using it to empower others to live healthier lives. Her perspective as an athlete and a healthcare profession is unique and really welcome. Two thumbs up. I’m just gonna give you a list of stuff you need to watch. Stat. Game of Thrones. Duh. You have at least a year, if not a year and a half to get caught up before the last season starts. There’s no better time to visit Westeros! Big Little Lies. DUDE. I hadn’t read the book before I sat down to watch this mini-series, so I didn’t know what to expect. What I got was amazing performances from Nicole Kidman and Reese Witherspoon and Shailene Woodley. Holy wow. So. Good. Parks and Recreation. Whenever I’m down or need a good laugh, I sit down with Leslie Knope and the good people of Pawnee (First in Friendship, Fourth in Obesity). The first season is a little slow, but hang in there and you’ll thank me later. West Wing. I’ll be honest, I watch this primarily because it’s one of the best shows in television history, and it helps me ignore the shitstorm currently in the White House. Bartlet 2020, anyone? Singin’ In The Rain – recently my son asked if we could watch together. Naturally, I said YES. Then I tried to reenact this scene by myself. It went as well as you might expect. I’ll leave the dancing to the professionals. Even still, this movie just makes me very happy. Tying into movies, let’s talk about my current favorite music! The soundtrack from the movie: Sing! It is so good. My kids love it. My parents love it. My husband (who is a little cranky at times) loves it. And, of course it goes without saying because it’s made my list, I love it. It’s the perfect music to cook dinner to, to drive to, to run to, it’s a brilliant mixture that fits so many different occasions. Good, good stuff. I’ve been listening to podcasts mostly when I clean/do the laundry. Those two things don’t make me happy but the podcasts makes the chores bearable. I save a lot of my tedious tasks for Friday because that’s when both are published. BibRave Podcast – The BibRave podcast has been in existence for just over a year now and while it was at first hosted by BibRave founders, Julia and Tim, it has since expanded to include more hosts (Andy and Jessica). It’s not a secret that I’m a BibRave Pro so one might think I have a vested interest in listening. Honestly, I’d listen no matter what. They host interesting guests and touch on all aspects of running and cross-training, as well as taking care of yourself and body. Even though I’m not at the running 100 mile race level (and probably never will be) the most recent episode from Tim’s Leadville 100 was relatable and unlike other podcasts I’ve listened to. Team Shenanigans Podcast – This is hosted by a fun bunch of folks from all over the place. Usually spanning an hour, the Team Shenanigans crew talks a lot about runDisney events (which I haven’t actually run since 2015) but also discusses other races and events. The dynamic between this group is great and they remind me of friends that I’d hang out at a bar(becue because I don’t really hang out at bars much these days). One of my favorite recent episodes from earlier this summer was when Caryn became a Queen of Connecticut by completing a race in every town of CT (that’s 169 towns, btw). We’d love to hear some of your favorites! Please share in the comments. Where did you begin? That’s the question that many of us have been asked when it comes to running (or weights, or a particular sport, etc.). It takes a great deal of effort and self-motivation to continually work on ourselves and it’s always interesting to hear what lights that fire within. Scoot a Doot has been around for quite some time now but we realize that not everyone reading our blog knows all of our history. For those of you who have recently joined us, welcome! For those who have been around awhile but might have forgotten, we wanted to share our “starting out” stories with you. And get your story ready because we’d LOVE to hear from you! Oh running. There was a time when I didn’t really enjoy running at all. 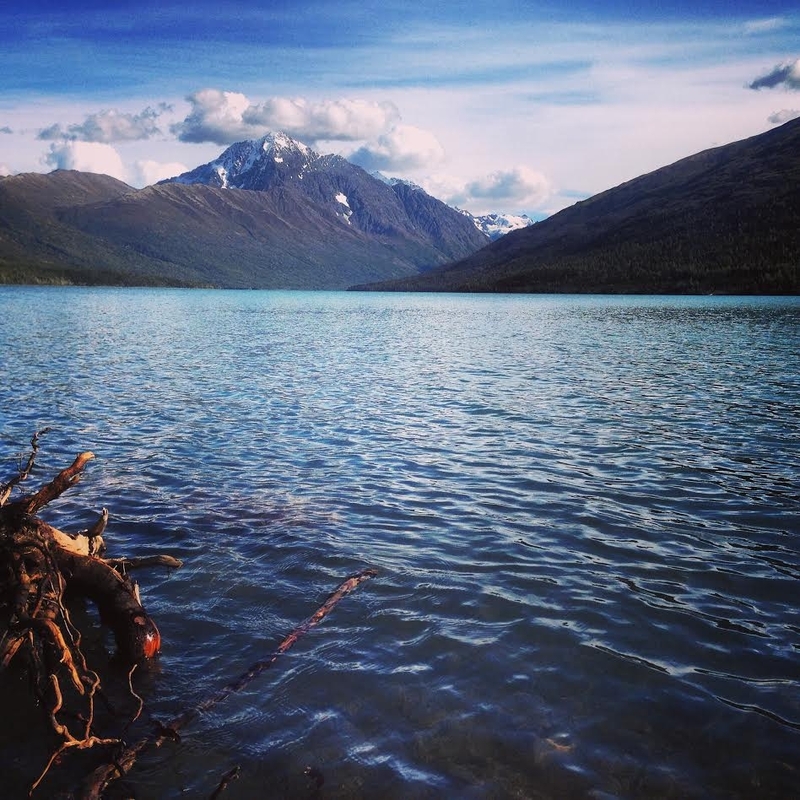 I grew up in Alaska with parents who loved camping and hiking. They bred in me not only a love of nature, but also the need to be active. I played basketball, volleyball, ran track, skied, snowboarded, hiked, biked, and swam. Running just to run wasn’t really on my list of favorite things to do – I would mostly just use it as a means of training for basketball or volleyball or skiing. In fact, if you asked my mom, she’d tell you I probably did more whining about running than actual running for most of my life. I don’t think I became a real runner until after I graduated from college. I played college basketball, but when that was over I became more sedentary than I had ever been in my entire life. It felt weird. I needed to do something to change it, but not having a two-hour practice to go to every night or teammates to hit the gym with made it hard. So I started running. Not too seriously, but I’d get a few miles in every day. Treadmillin’ it. Then, I signed up for a local five-miler that I’d done a number of times growing up. I felt so good with my finish that I went home and told my mom I wanted to run a half marathon. Of course she told me to go for it. That was 2012. Now I’ve run three marathons, a handful of half marathons, and too many other races to count. My fitness has evolved, too. 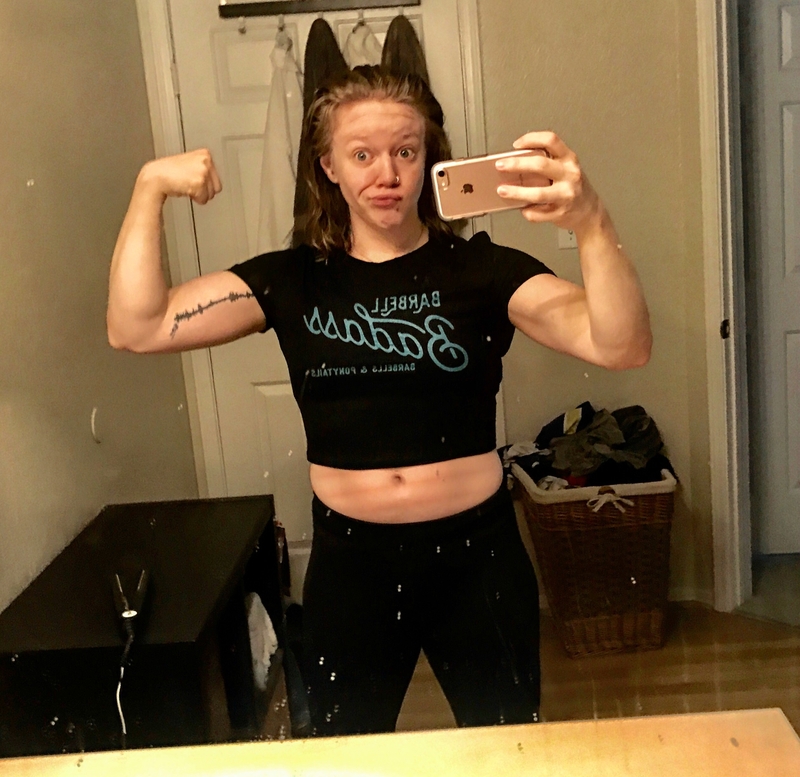 Instead of just running, I lift weights, I spin, and I’ve recently started CrossFit (for real, after five years of following the sport and not being able to make it happen). Running is still a part of my workout regimen, I’ve just found a better balance with it – and my body appreciates it. My fitness is always a work in progress, but running with always be foundational in that fitness. A longtime runner, I never expected to take more than a year off the sport to start my family. But for a variety of reasons, that’s just how life unfolded and I stopped running during my first trimester. I attempted to prepare to resume running during my maternity, walking regularly while pushing my son in his stroller. It worked well for us and I had grand plans to use our jogging stroller the moment he was six months old. That milestone fell in the middle of a severe windstorm. Then came a two-foot snow storm. I was also insanely sleep-deprived with a husband who travels internationally, leaving me to parent solo while also working full time. As time allowed, I ran a few miles here and there in the spring, but nothing stuck. Once I was getting a good 7-8 hours of sleep a night, I finally resumed a somewhat regular running routine last month, about 18 months after I stopped running. I started out running a half-mile and then walking for a minute or two for about 20 to 30 minutes. I repeated three times each week, bringing my son along in the jogger each Sunday. As the weeks passed I felt stronger, my walk breaks are shorter and my breathing improves. On weekdays, I run 2-3 miles and one weekend day is reserved for a slow, 3-5 mile jog with my son. I haven’t worn a watch once because my pace doesn’t matter. I am running to run. My goal is for each run to surpass the previous workout. I only run about 10 miles a week, mainly because that’s what I have time to take on. It may change – it may not. And that’s OK.
12 years ago my interest in exercise was minimal. I mean, it was a nice idea in theory but I wasn’t too interested in actually doing anything. And it showed. My bad habits were catching up to me and after I had my older son, I knew that I needed to do something to feel good about myself. For the longest time I checked off the box next to “never run unless something is chasing me.” And it took me quite some time to work my way up to actually running. When my eldest son (12) was just over a year, I heard about a stroller workout class called Stroller Strides that was in a local park. There’s a saying, “You have to crawl before you walk.” I feel like that was my fitness journey. I slowly started with Stroller Strides, pushing my kiddo in his Graco stroller and then eventually upgraded to a B.O.B. Revolution. I got more involved with Stroller Strides, loving being with other local moms and working out. A few years in, I became a certified instructor and began teaching the classes under the franchise owner. I picked up other fitness classes along the way including Jazzercise (yes, really!) and yoga. Running had always been a challenge and I wasn’t sure I was equipped to handle it so I just continued getting my endorphin high from other forms of exercise. 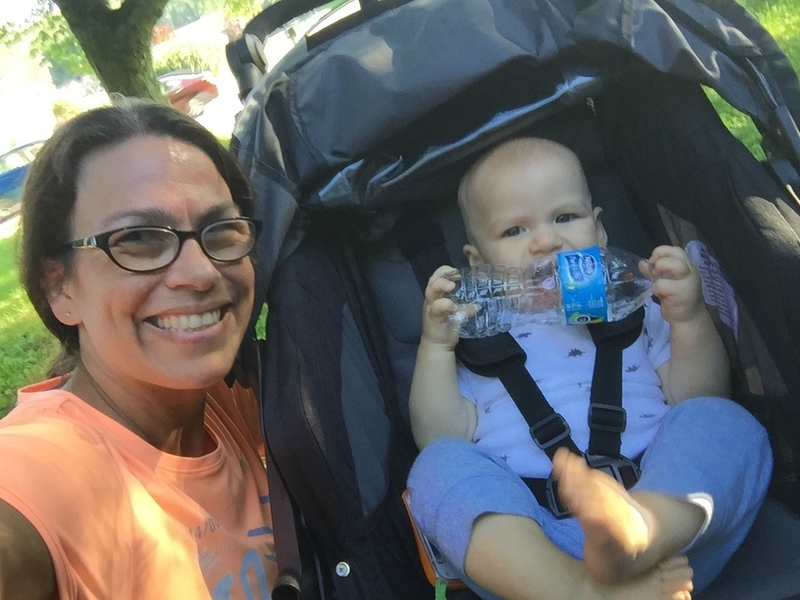 I continued working out through my second pregnancy and was back to Stroller Strides as soon as I was cleared by the doctor. Running really began for me after my younger son was diagnosed with Autism. Rather than stress eating, I turned to the treadmill. I was inspired by watching Vic run her first full marathon in 2010 and I decided that this was finally going to be my outlet too. Except every moment of running at the beginning was a struggle for me. I hated it. HATED. IT. I wore the wrong shoes. I got blisters. I made stupid mistakes. I cried. I signed up for a mud run as my first ever race (read: MISTAKE). Somewhere along the way, I started hating it less. Dare I even say, I actually liked it? I saw results. I got faster (not fast, but faster). I leaned out more. I signed up for races with friends and met new friends along the way. I started working out with a trainer to get stronger. I talked other people into running races with me. I never said no to trying something at least once. And when I doubt myself I repeat “I can and I will” over and over until it becomes “I could and I did”. For most of my life, I avoided running at all cost. When I was a kid, they told me running could kill me. Thanks to my asthma, I was encouraged NOT to be athletic or to try out for sports. I was always picked last for team games. For most of my life, I hated running. I hated it because I couldn’t do it, and because it fed my low self-esteem as a kid. After my parents divorced, my dad became a pro body builder and I developed a respect and understanding for the importance of fitness. When I worked in elder care for many years, I learned a very important lesson. You’re only as old as you allow your body and mind to get. My biggest fear is becoming frail so I started taking yoga classes and loved it. When my friends, the other Chicks, started running, I decided to see if my lungs would play nice and I started running too. Thankfully they do play nice, as long as I don’t try to run fast. Every time I get a new medal, I prove to that wheezing kid inside me that I am stronger. That I can do it. In those moments my motto rings true; I’m little, but fierce. Lately, I’ve been getting bored with running. I was even considering giving up running and focusing only on yoga. Mostly because I’m really bad at making time for training. But when I look at what’s been going on in my life since February, I feel like there isn’t any way I could have made different choices with my time. Life happens, and this year has been a year of BIG change for me. I’ve had to roll with it. In the midst of that change, I’ve been spending more time in the mountains where I’m building my house. Coincidentally, it’s inspired my running again. I’ve decided to branch into trail running. I’m not sure if I’ll do a trail race; I may stick to road races, but I’m looking forward to training on the nearby trails. The area is also ideal for snowshoeing and cross country skiing. For the first time ever, I’m looking forward to winter and trying these new sports. My asthma, though much less severe than when I was a kid, is still aggravated by cold weather, but I’m hoping I can overcome that. You never know unless you try! My new, neighbor, Taylor Mountain. Elevation 9134 ft. Taylor was my maiden name, it’s fate! That’s how we started (or started again)! We’d love to hear how you began putting one foot in front of the other. Feel free to share in the comments below or, if you’re inspired to write a blog post, please tweet at us so we can read it! Summers are when I get to flex my mom muscles. 10 months of the year, my boys (12 and 8) are in school most days but mid-June to the beginning of September, the majority of our days are spent together. Last summer we created a family bucket list. This summer, my goal is to say YES as much as possible to their requests. Contrary to Phineas and Ferb’s count of summer vacation, we have a total of 83 days (104 days of summer vacation – debunked! Trust me, we counted). We are about 50 days in and while not every day is a grand adventure, we are keeping busy, while attempting to keep activities budget friendly. Aquarium and zoo visits are always favorites! We had free passes we won for the Adventure Aquarium and we have a membership to the Philadelphia Zoo. Visiting parks and picnicking has become a favorite summer activity. There are things that they’ve asked to do throughout the year that we just haven’t gotten the chance to do for numerous reasons but my goal this summer is to get to those things that we’ve been putting to the wayside. Rather than saying SOME DAY, I’m embracing the word YES. This kiddo has been asking to visit the art gallery at our local university (Rowan U.) since the spring. He was so happy that we were finally able to visit. And I was so happy to get out of the house after dealing with bronchitis! My older son has been asking to take the GoPro into the pool since last summer. Oops? I finally unearthed it, charged it and made it happen. They were thrilled! I have more minutes than I can count of looking at the bottom of our pool or the sky but I’ll just repeat it again: they were thrilled! While this was not free/cheap it was so much fun for my immediate family to take the grandparents to the recently opened escape room! What can I say, my boys have lots of fun ideas! And if I can make them happen, I want to do it for them. After all, isn’t that what summer is all about? I can take a nap in September, when they head back to school! We still have quite the list of things that they’d like to do (Six Flags Great Adventure, fishing, going back to the zoo, going to the local Led Zeppelin laser light show, hitting up the drive-in movie… to name a few)! What have you been up to this summer? I know, I know. Summer just started. So why, oh why, am I writing about fall racing? Well, quite frankly… I don’t race in the summer and there aren’t all that many races in my area at this time of year. The one summer race I’m doing is on the 4th of July with my older son. ‘merica! If a summer race comes along that woos me with fun stuff (wine, amazing medal, friends participating) I’m sure I’ll sign up. That’s just how I roll. Other than that I’ll be embracing summer training (and praying that I don’t melt along the way) in preparation for the fall! 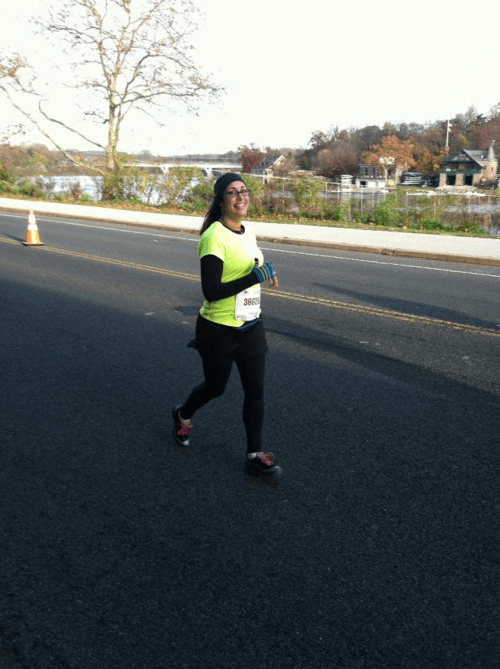 When my awesome friend Rachel was looking for a race and travel buddy for the Shenandoah Half, I was happy to join her! 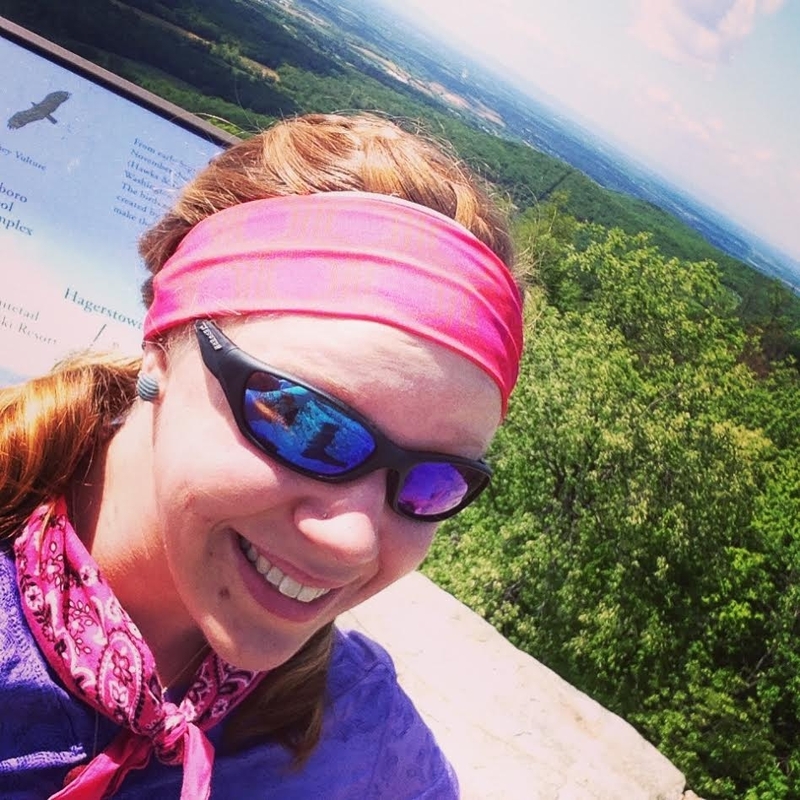 Jenn has raved about Vacation Races as an ambassador (here, here, and here). While I’m a little nervous for the “challenging uphill course” that the race description boasts, I figure that as long as I am with Rachel, it will be all good! I’ve never run a race in Virginia before and if Ragnar, PA taught me anything it’s that the scenic views from the top will be well worth the hills. If you’re interested in challenging yourself in Shenandoah Valley, registration can be found here. This is a race that I ran in 2012 and am looking forward to returning to 5 years later! I’ll be honest, the first time that I ran this I didn’t train the way I should have so I struggled through the race. It was a tough one for me so this will hopefully be redemption! Prior to the Rock ‘n’ Roll Race Series taking over in 2010, it was known as the Philadelphia Distance Run and this will be the 40th consecutive running of the race. Race weekend has been expanded in recent years to include a 5k and 10k (this year is the inaugural 10k) on Saturday, while the half will take place on Sunday. Of course, that means that there’s the opportunity to run more than one race in the weekend. I’m currently floating the possibility of adding another race because GO BIG OR GO HOME, right? Registration for Rock ‘n Roll Philadelphia can be found here. Which distance would you chose to rock? If you go for the half, the code “BIBRAVE15” will save you $15 until 8/27. Disclaimer: I received a free entry to Rock ‘n’ Roll Philadelphia race as part of being a BibRave Pro. They’re currently looking for more BibRave Pros so feel free to learn more about becoming a BibRave Pro (ambassador), and check out BibRave.com to review find and write race reviews. You can tell them I sent you! While I have not raced this particular location before, I am a huge fan of the Run the Vineyards series! Not only have I run the Run the Vineyards 5 miler twice, I’ve also volunteered with the race series as well. This local series knows what runners want and it’s always a good time to run and then be rewarded with wine and entertainment. And free race photos! I’m particularly excited for this race because a group of my local friends have registered for it as well, so I know I’ll be seeing lots of familiar faces during the race and after! Without a doubt, it’s going to be a good time. The space for the Run the Vineyards events is limited (this one is capped at 300 runners) so if you’re interested in registering, earlier is always the key. The 10k is my favorite race distance, which is only one of the reasons why I’m pumped to run the Run Inspired 10k. Winterthur, DE is less than an hour drive from my home in New Jersey and I’m looking forward to my first ever DE race. This is a young race, last year was the inaugural run. The course will be beautiful and challenging through Winterthur’s 1,000-acre natural preserve and it’s one that I’m really looking forward to running. Run Inspired supports the Operation Warm which distributes coats to local children living in poverty and the thought of that is something that will keep me pushing over those hills during the race. The Finishers Party sounds like it’s going to be amazing too! If you’re considering running this race, register now to get the Early Bird registration. Prices jump on July 1st! 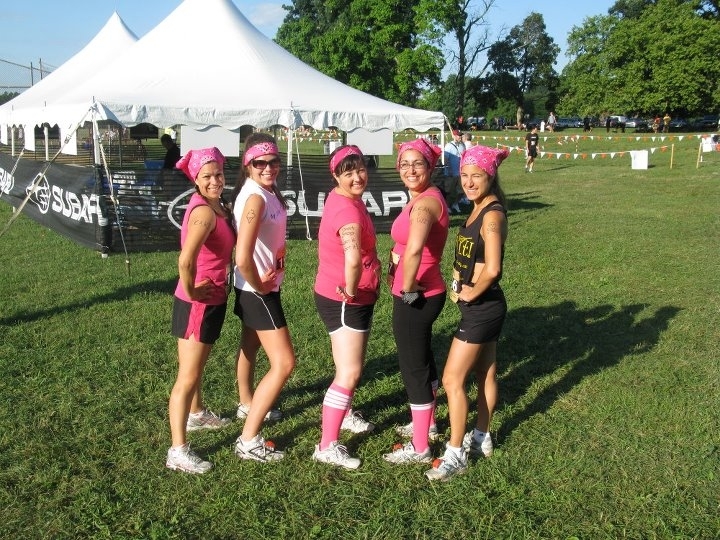 And you can use the code “BIBRAVE” to save 10% on your race entry. Disclaimer: This is another race that I’ll be running as a BibRave Pro, I received an entry to the Run Inspired 10k through BibRave. Want to learn more the BibRave Pros (ambassador)? 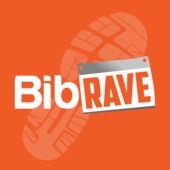 Be sure to click the links and check out BibRave.com to review find and write race reviews. You can tell them I sent you! Will I be seeing any of you in September or October at these races? November and December are usually hectic so I’m actually trying to keep a little less on my plate as far as races are concerned but I’m always open to suggestions! Monday’s aren’t always my favorite but this Monday? This Monday is always a favorite of mine! Because it’s Marathon Monday a.k.a. Boston Marathon watching day! I’ve informed my family that if they need me, this is where they can find me the majority of the day. I know that I’ll never actually run the Boston Marathon but I love spectating (from my computer) each year. I dream of the day that I can spectate in person. All of the emotions are felt and it motivates me with my own running goals and dreams. I have a few of my favorite races coming up in the next few weeks (Rowan 5k, AC April Fools half, Run the Vineyards 5 Miler) and then a volunteer opportunity and Ragnar. The summer months are usually less densely populated with races and more about training runs. My goal for this summer is to remain consistent with those training runs because I already have a few fall races lined up! My buddy Rachel first brought Vacation Races Shenandoah half marathon to my attention. She had a free race entry for herself and a friend and she invited me to join her at the inaugural Virginia race. After a few snafus with registrations we were both able to get set up so we’ll be traveling there the first weekend of September! The course looks INTENSE, with lots of elevation changes but it also looks beautiful. I know we’ll have a good time together. Just a few weeks later I’m excited to return to a familiar stomping ground: Philadelphia’s Rock ‘n Roll half marathon on September 17th through BibRave! I participated back in 2012 but timing and other commitments have kept me away the last 4 years. I’m really looking forward to returning to this series. The race weekend includes a 5k and the brand new, just announced, 10k distance! The 10k is my favorite distance and I know it’s crazy but I’m considering maybe signing up for that as well. I’ll keep you posted if I decide to take the plunge! 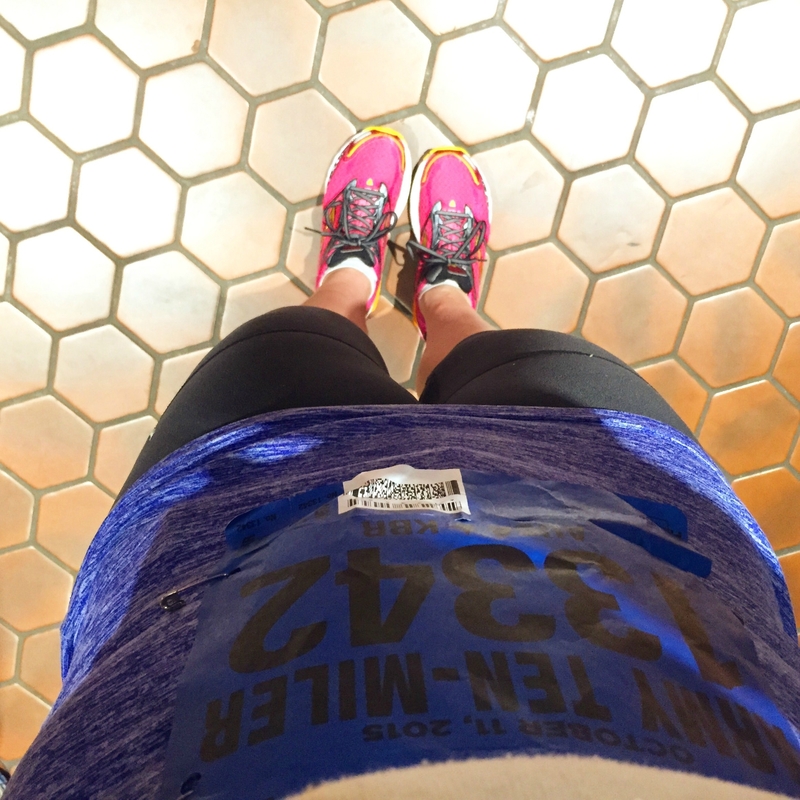 If you’re considering signing up for the half, I have a discount code to share! Woohoo! BIBRAVE15 will get you $15 off the half and is valid until 8/27. Is anyone out there running this one (or another Rock ‘n Roll race)? I’m so excited to return! Okay, the elite women just started the Boston Marathon so I’m jumping back to that window now! If you need me, I’ll just be over here, being inspired! Disclaimer: I received a free entry to the Philadelphia Rock ‘n Roll race as part of being a BibRave Pro. Learn more about becoming a BibRave Pro (ambassador), and check out BibRave.com to review find and write race reviews! All opinions are my own. Did you hear??! Probably not, because it’s just became official, but I’m moving to the mountains! I am the soon-to-be owner of a lovely acre-and-a-half near Rocky Mountain National Park. Here’s a little update via vid. Lemme know if ya have any bear tips. I can’t wait to buy things like snowshoes and cross-country skis. Maybe even a canoe! What are you doing to help our Mother Earth? That’s the question that we’ve been asking ourselves lately and been getting a lot of good ideas from one another. Here’s a compilation of what we are doing to make an impact. As I’m sitting here typing this, the East Coast is preparing for a late-season snowstorm. A snowstorm in a winter that has been relatively void of snow. Or even cold weather for that matter. Now, weather and climate are not the same thing, as we know, but stronger, more unseasonable storms are certainly an indicator of a changing climate. It’s also hard to imagine that human activity, particularly since the Industrial revolution, hasn’t had an adverse effect on the planet. Between searching for and harvest natural resources, to filling landfills and urban sprawl, humanity has certainly made an impact on the environment that we share with a world’s worth of flora and fauna. I have a minor in Environmental Studies, and during my time in school, I spent a lot of time studying the interplay between humanity and our planet. During one class, we were asked to keep a daily journal of the small ways in which we were changing our habits to be better stewards of the planet (I went to a Franciscan Catholic university). Some of the habits I developed then, I still practice now. Particularly, taking public transit when available – living near DC, this is pretty easy to accomplish, fortunately. While my commute is no longer on the metro system, any time we venture in to the city, we take the train. And while in the city, we walk everywhere. An academic at heart, I also make a concerted effort to stay informed about environmental issues. Having grown up in Alaska, I’m very in tune to the important balance that exists to maintain resource sustainability over time. Whether I’m reading about current environmental projects, or engaging in environmental advocacy, I’m always doing my best to better understand the impact I have on the world around me, and how we, as a society, as a people, can practice stewardship over dominance and ensure that we have a healthy planet for generations to come. Saving the planet is my day job. I spend a good portion of each work day looking for ways to operate our business in a more sustainable and socially responsible way. Today, I organized a latex paint recycling event for 1800 employees. Tomorrow, I’ll be booking speakers to educate my people on how to protect our local watershed. Later this week, I’m meeting with folks to see how we can reduce the amount of carbon emissions our businesses generates. You might say that I’ve leveled up when it comes to being green, and my job has taught me a few things along the way. Afternoon at the Boulder Flatirons. This is why I’m a Sustainability Coordinator. If you want to make a big impact and you’re concerned about changes to environmental policy, I strongly urge you to attend your local city council and county planning meetings. Most environmental policy is created at the local level; the EPA only dictates minimum requirements for regulations. Go and tell them you don’t want fracking in your community, or that you expect existing protections to remain in place. Get vocal locally! Vote for your values with your dollars. If you make it clear that you only support sustainable companies, it teaches other not-so-sustainable companies that they’d better get on board if they want to stay competitive in the marketplace. Easy things like buying locally sourced food, getting your next pair of shoes from Toms, or your new pair of eyeglasses from Warby Parker. You have lots of power here, use it! And lastly, one of my favorite easy things to do is pick up litter I see when I’m running. It’s easy to help keep the road and trails clean and maintained. Recently while running a particularly race I couldn’t help but notice how many cups I slogged through at each water stop. There were some runners that had handheld personal water bottles or hydration packs but overall, many took cups and cups of water (me included). Fast forward a few weeks and while signing up for another race, the Shenandoah Half Marathon, I noticed that they have a cup free policy. Looks cool but creates a lot of waste. I’m looking to make changes within my home where I can. My kids bring their lunches to school most days and the amount of plastic sandwich bags we were using for snacks (one for the classroom, another for lunch) was ridiculous. It felt wasteful and unnecessary. Instead I picked up a set of Tupperware and I’m sending their snacks in those instead. It was just a small little change but we are reducing the amount of plastic we’re using, which feels great. On the same train of thought I’ve been focusing on remembering to bring my reusable bags into the grocery store. I know in some states they don’t even have a plastic bag option or there is a charge if you need one. That’s not the case in New Jersey but just because the convenience is there doesn’t mean that I need to take advantage of it. If I buy something at a drug store, rather than getting a bag, I opt to just throw it in my purse. It might be small but imagine if we all do things like that – it can really add up! We’d love to hear what little (or big!) things you are doing to help our environment! Have any ideas to share with us and Scoot a Doot readers? Please comment below. Disclaimer: I received The RunnerBox to review as part of being a BibRave Pro. Learn more about becoming a BibRave Pro (ambassador), and check out BibRave.com to review find and write race reviews! All opinions are my own. RunnerBox has been going strong since 2012 and is the brainchild of athletes Staci Dietzel and Laura Jorgensen. When BibRave presented the chance to try The RunnerBox, I was more than game! I am always curious to try things before I buy them; subscription boxes are a great way to go about that without spending a ton of money on products that you might not like or use. Plus, MAIL. Who doesn’t love getting packages in the mail? Not for you, pup. It’s for ME! The box was chock-full of products. I tried to take my time opening it, but I was excited! Love the Mia Hamm quote! Look at all of the splendor! It is amazing how much they were able to fit in that little box. It was like a magician’s hat, more and more things kept popping out. There was no rabbit (thankfully) but I did unearth what was making the noise: Banza’s Chickpea Pasta Mac and Cheese and Chosen Foods Mango Bites with Chia. Both ah-mazing! Yum! I loved these as a snack after my workout earlier this week. I’m a big fan of chia. I liked the crunchiness of these. This was one I wasn’t sure I would enjoy, but I did! Mint Chocolate Crisp Oatmega Bar! I’m still making my way through the products in the RunnerBox but it’s pretty safe to say that most things have been a hit. The HotShot wasn’t my thing because I can’t handle hot/spicy combination but that’s more on me than it is on the product. I have a friend who is a big fan so I plan to pass along the second bottle to her! Let’s get down to brass tacks here, because I’m sure you’re probably wondering about cost of RunnerBox. There are a few different tiers of pricing, depending on your wants and needs. With the Standard option you are billed automatically until you request them to stop. That seems like it would be a slippery slope to me because who would ever want to stop getting these?! They do offer one-time options too, for birthdays and gifts. Additionally, they have boxes like The Cyclebox and The Tribox for athletes in those fields. I like that they have specific boxes geared toward specific sports and things aren’t all clumped into one box. All in all, the RunnerBox is a great way to check out products and find new favorites. I definitely have! Have you tried any subscription boxes? Which ones? What in particular do you like about them?